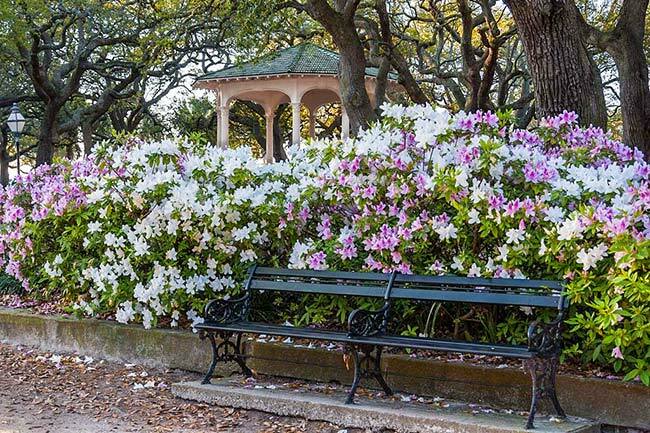 White Point Garden is an historic waterfront park located on the Charleston Battery. 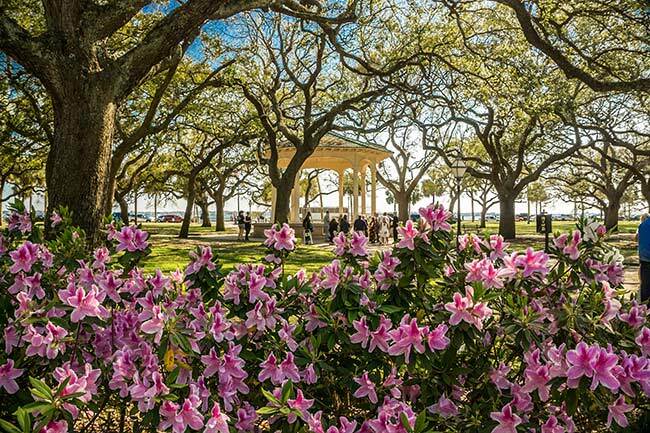 The area became the second and permanent location of the city after colonists relocated from their original settlement at Albermarle Point (today the site of Charles Towne Landing). 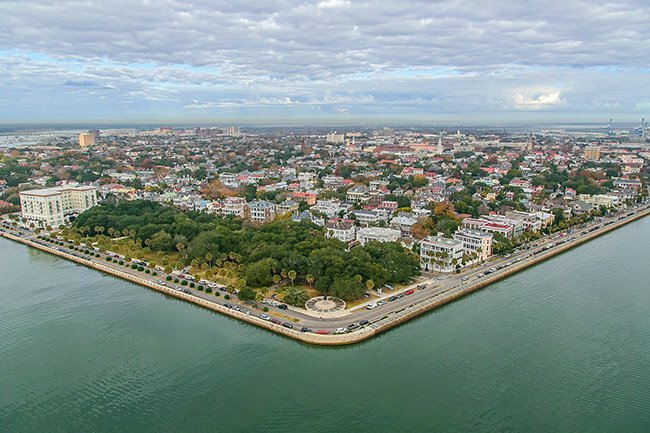 These settlers first called the area Oyster Point in honor of the abundance of sun-bleached oyster shells that covered the ground. The name later evolved into White Point. 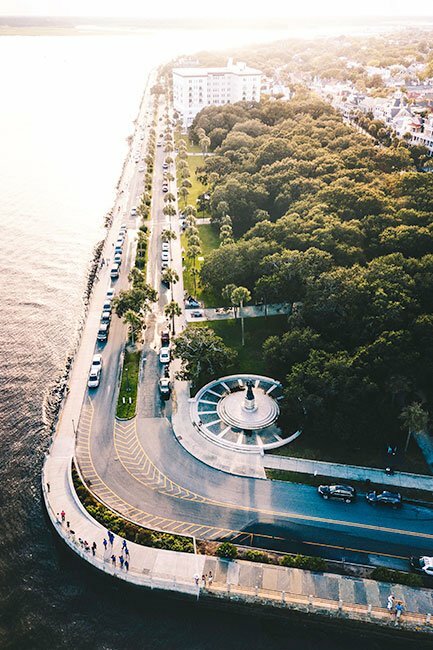 In 1837 the city bought a portion of the land at White Point for a “public pleasure park.” In 1855 the city extended the park to create a “grand waterfront park along the south front of the City.” White Point Garden remains a popular spot for both locals and visitors. 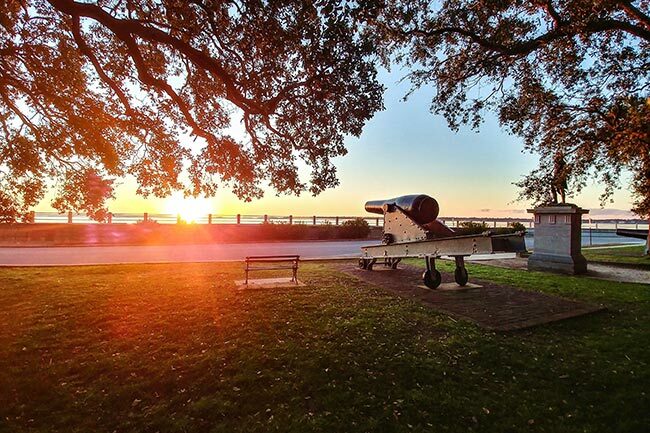 The park features numerous Revolutionary and Civil War-era cannons. One of the Revolutionary War cannons is a fake, made in 1933 and placed in the park as a joke. 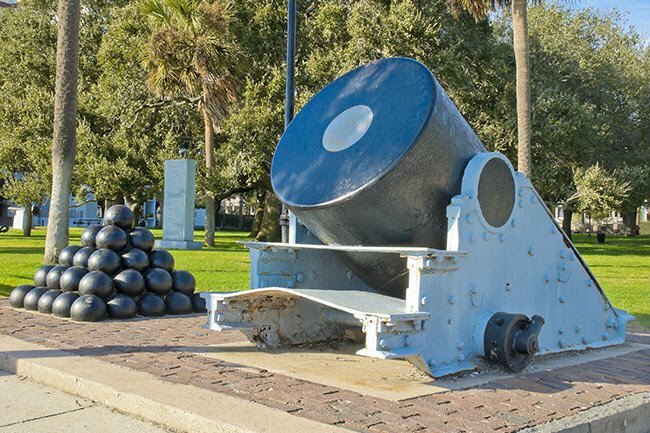 It is a popular game for park visitors to try to spot the bogus cannon. 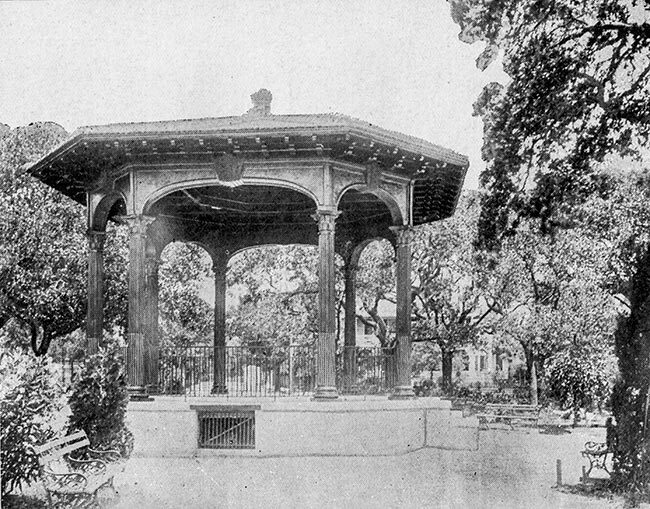 The park also features a gazebo-like bandstand known as the Williams Music Pavilion. 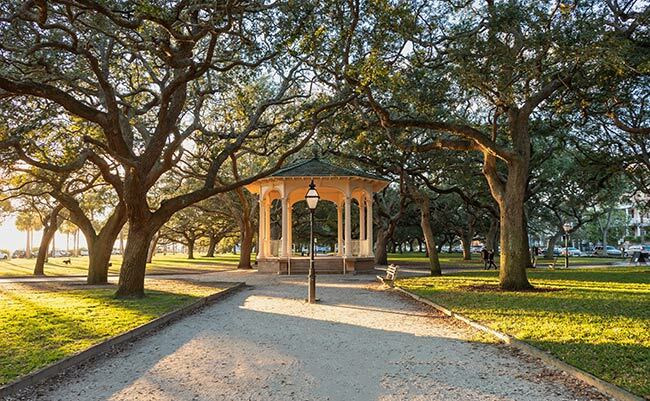 The Pavilion was built in 1907 as a memorial from Mrs. Martha W. Carrington to her parents, Mr. and Mrs. George Walton Williams, the original owners of the Calhoun Mansion. Mrs. Carrington and her husband, Waring P. Carrington, built and resided in the Victorian house at 2 Meeting Street across from White Point Garden, now the Two Meeting Street Inn. 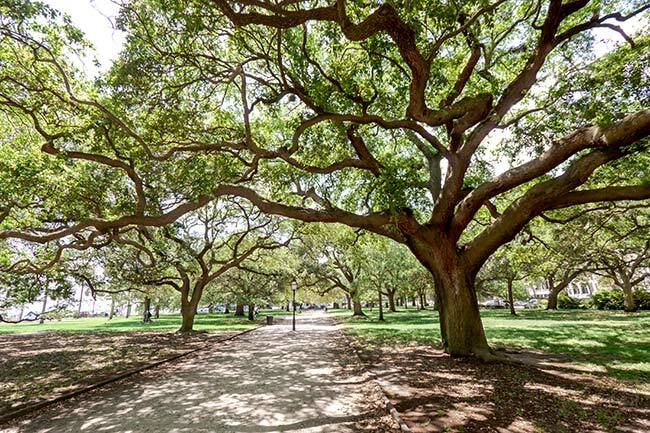 There are many monuments in the park, including one commemorating the notorious pirate Stede Bonnet, who was hanged here with about 50 other outlaws in the 1720s. 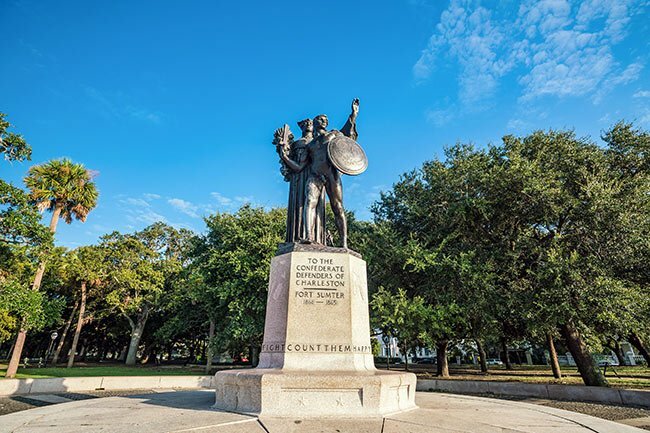 Below is the Defenders of Charleston monument, installed by the Charleston Chapter of the United Daughters of the Confederacy in 1932 to honor those who defended Fort Sumter during the Civil War. 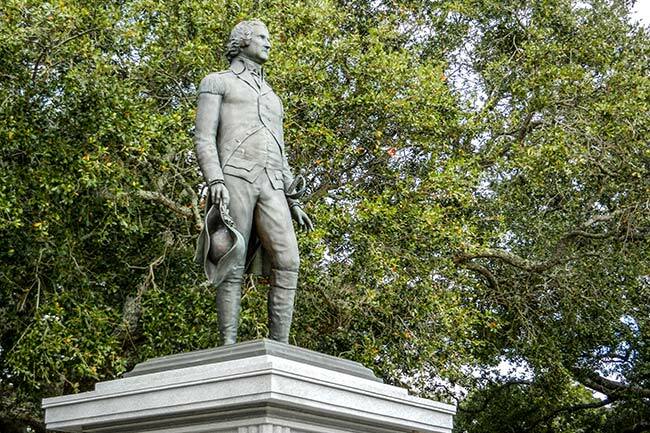 Another statue, depicts Major General William Moultrie and was unveiled on June 28, 2007 – otherwise known as Carolina Day. 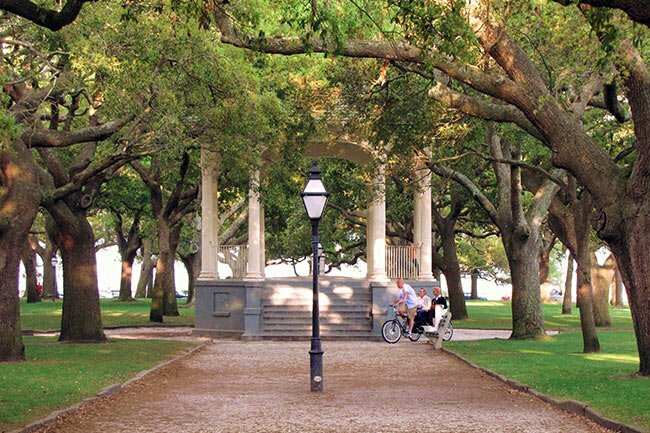 Carolina Day commemorates the victory at Fort Sullivan – now Fort Moultrie – on June 28, 1776 when the South Carolina militia, led by Colonel Moultrie, repelled an attack by Sir Henry Clinton’s British fleet. The fort was later renamed for Moultrie. The statue, by South Carolina sculptor John Ney Michel, was defaced with spray paint in October of 2014. 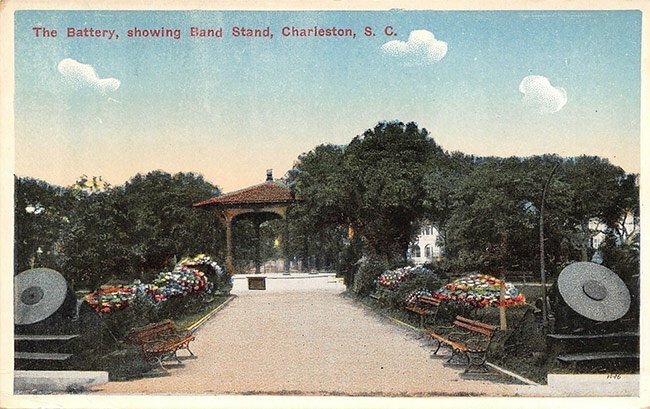 The artwork was repaired by the City of Charleston. 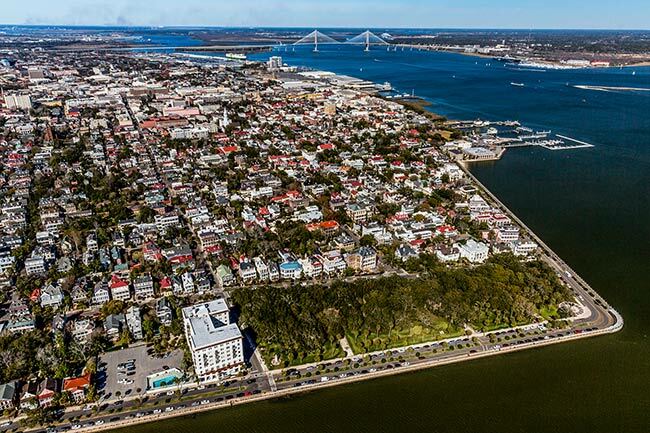 In the aerial photo below, White Point Garden can be seen as a shaded sanctuary overlooking the harbor amid the busy streets of Charleston. 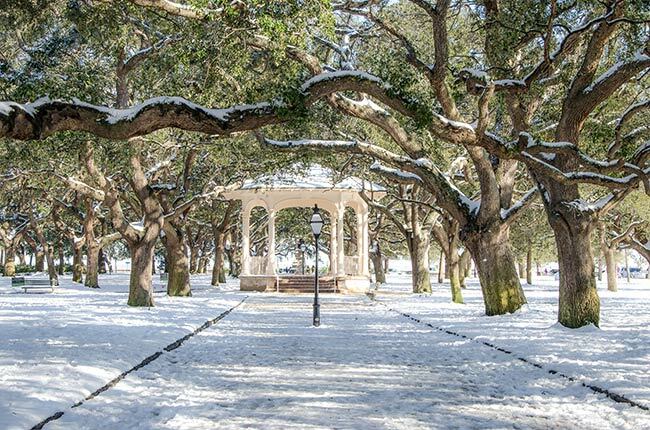 During January of 2018, South Carolina was blanketed in snow shutting down the majority of the Lowcountry for nearly a week. While it does snow in the Lowcountry, it is extremely rare. The view below was captured during that time, the snow adds a magical touch to familiar landmarks. Hey Kathy, congratulations to the almost newlyweds! 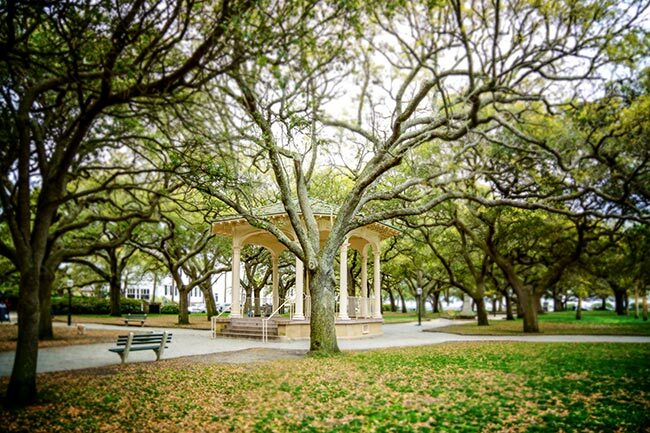 You would have to contact the City of Charleston Recreation Department. 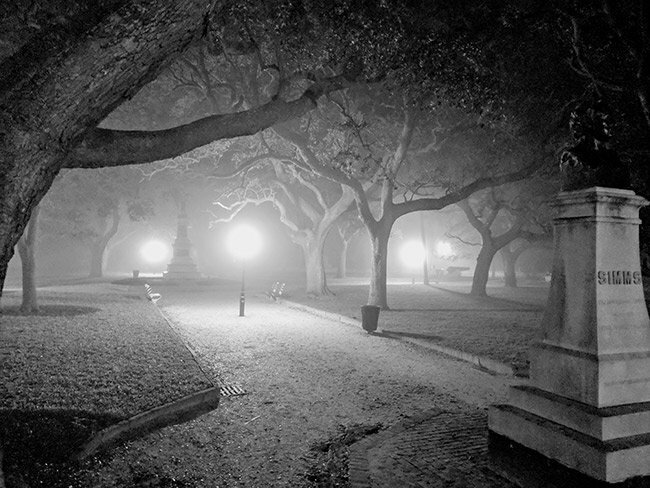 This website will give you the details on the steps neeed, https://www.charleston-sc.gov/index.aspx?nid=362. Hope this helps, thanks! 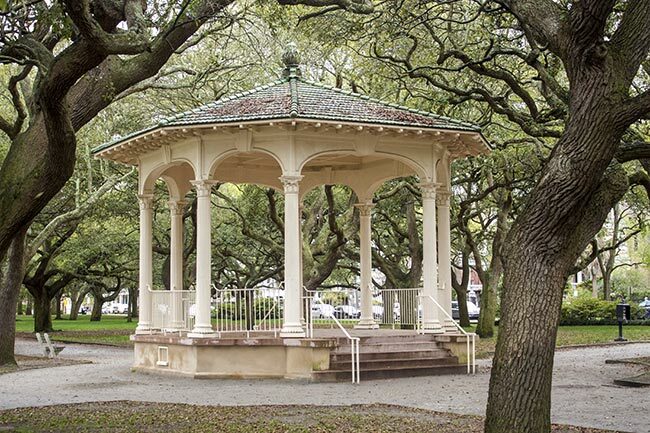 I have a question about using the gazebo at White Point Gardens for a very small wedding in May 2018. Can you direct me to the person I should speak to concerning this request? Thank you very much.